Your students will be the shop owner for an item that they sell! 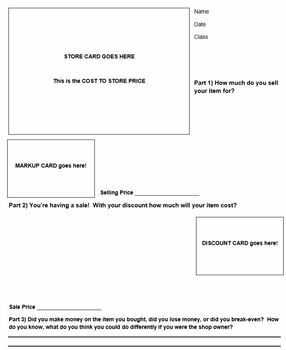 The students will markup and discount an item to review the concept and reflect on whether or not they make or lose money! 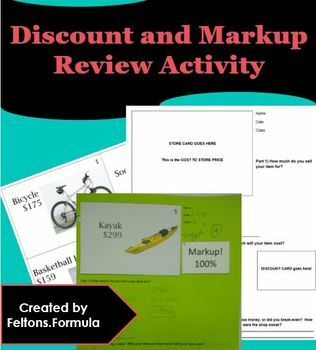 A quick one-class review for 7th grade students learning markup and discount or 8th graders reviewing concepts. 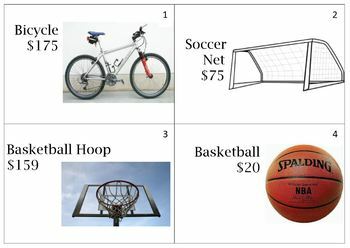 Excellent for bulletin boards and aligning to common core percent concepts.